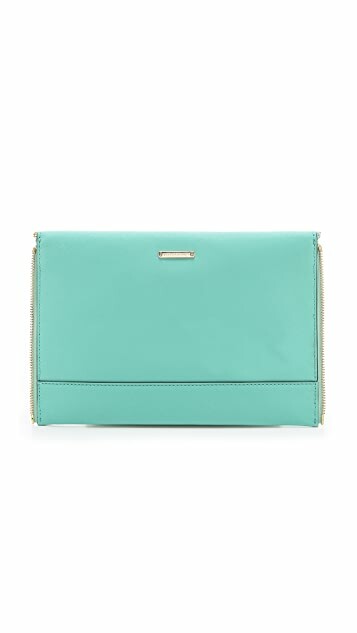 Zipper-teeth trim brings an edgy statement to a saffiano Rebecca Minkoff clutch. The magnetic front flap lifts to reveal a logo-lined, single-pocket interior. This clutch is better than I expected. It's not too small or big, and the gold zipper details stand out more than they look in the picture. I was afraid the clutch might be too black, but the zipper details balance it out. Also, the leather gave more texture than I expected. I was disappointed that there was no dustbag included as it said in the product details. 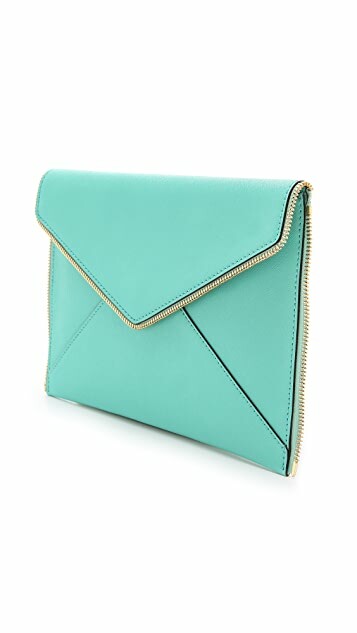 This is the perfect classic clutch, not too big, not too small. Excellent quality and the zipper detail along the edge is just enough bling to make it a classic style. I really adore this! Hope it comes in more colours! Got this in white- absolutely love it! It's soft , and can be carried for casual or dressier occasions! Very versatile piece!!!! Would definitely buy in other colors! 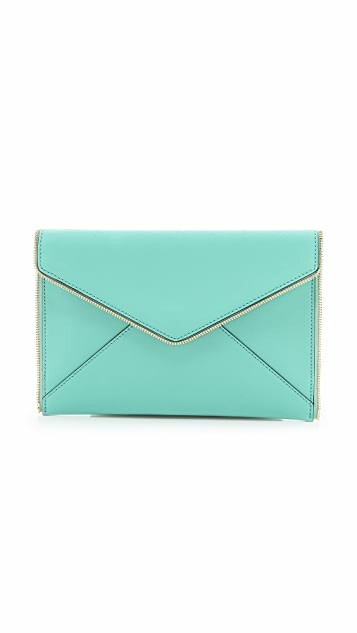 This clutch was okay, it's pretty cute. A bit too small for my liking, though. Not a fan of the saffiano leather, it felt cheap to me. The price is great though. I ended up returning mine since I wasn't crazy about it.